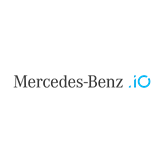 We are the Digital Services team at Mercedes-Benz.io, a subsidiary of the Daimler AG. We aim to connect all car users with the services and information they need to make experiencing, maintaining, and using a car simpler and more delightful. We’re looking for you to shape our products by working closely with our development, product design, and business teams. As part of “Bertha”, you will join a dedicated and experienced team working on making the experience of fueling your car more delightful. We are building both a consumer brand with high potential for growth domestically and internationally and an API platform that serves as a backbone for our own consumer product and those of our integration partners. This is a hands-on position for a Ruby expert: we are looking for a senior Backend Developer who will shape the quality and success of our product by working closely with our backend, mobile developers, designers, data scientists and business people. This is a full-time position, based in our office in Berlin. We have a fantastic team with people from all over the world. We encourage frequent collaboration and pairing across disciplines. English is the main working language. (Non-native German speakers, you’ll have plenty of opportunities to practice your German if you want). We believe that diverse experiences and a broad collective perspective lead to a better company culture and better products. We actively encourage people from underrepresented groups to consider becoming a part of our team. We don’t want, and won’t tolerate, harassment, bullying, or discrimination at work. We think digital leadership and understand that success does require responsive organizational models, collaboration and alliances and a customer and experience driven innovation and satisfaction approach. Ecosystems and the trust in capabilities will pave the way (or road actually). We have seen many ideas and visions. We respect ideas that have become products that adhere to real customer feedback. We work in stable functional teams in a full end-2-end responsibility. Various disciplines focus jointly on functions in clusters and customer value or value to other product teams. We take a holistic approach to our products and look at them from a customer perspective. We learn from our users and customers, validate trends and innovations and thus shape the digital future of Mercedes-Benz. Sometimes we need to ask questions but we try to measure what and wherever we can. THINK LIKE A START-UP WHILE DELIVERING LIKE A GROWN-UP. ARE YOU? Work with us on shaping the digital future of Mercedes-Benz. Self managed. Team based. Customer centric. Want to get notified about new jobs at Mercedes-Benz.io GmbH?